Thames Valley car storage professional vehicle storage for your classic or modern car. We offer professional vehicle storage for your classic or modern car. We have secure and secluded warehouses of solid concrete/metal construction, fitted with systems verified by our insurance company. Our offices are south of Abingdon and our warehouses are located in South Oxfordshire and the Wiltshire borders making us ideal for anyone in London, Oxfordshire, Wiltshire, Berkshire, Hampshire and Gloucestershire. Our front doors are only one hour from London Paddington making us perfect for ‘escaping to the country’! We are also one hour away from Silverstone making us an ideal place to rest your race car! As part of our complete service, we can pick up and deliver using our covered or open trailers. 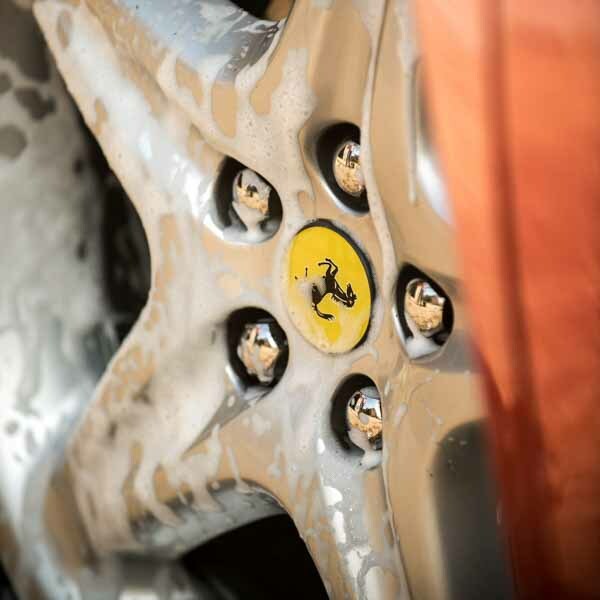 We are also enthusiasts; you can be assured we know how best to look after your pride and joy. It doesn’t matter if it is a multi-million pound piece of Italian exotica, or your grandmother’s old Austin A40, it will be cared for in the same professional manner! We can pick up your car, or you can deliver it to us. 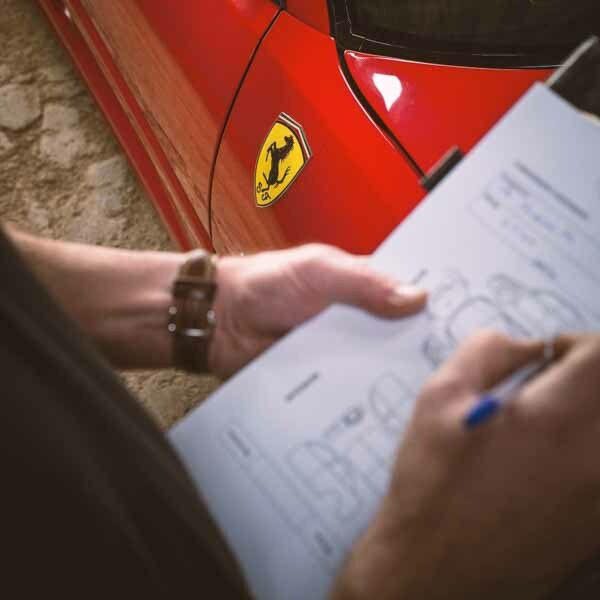 We then conduct a consignment assessment to detail its exact condition and issue a receipt. On arrival at our warehouse, the car is given a valet and allowed to dry. We then cover every vehicle and log its position and your exact storage requirements. Any storage procedures and preventative maintenance you wish us to conduct will then occur as prescribed – all completed to the best possible standards. The charge for storage is currently only £120 per month. Your confidence will be helped knowing this includes our comprehensive insurance. 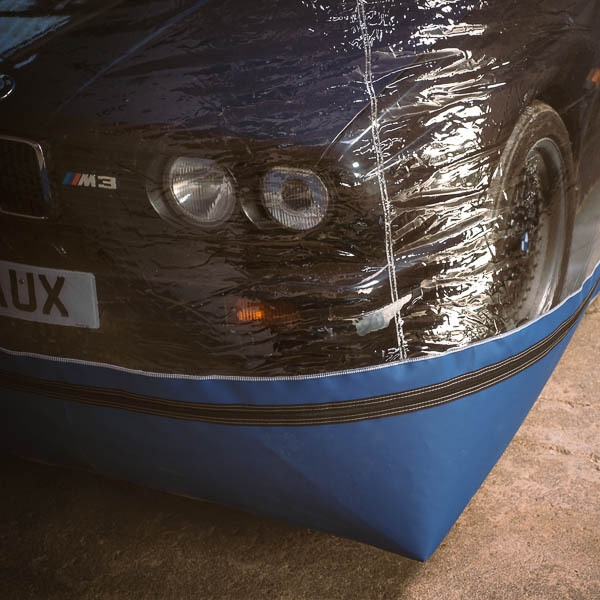 Whilst simple storage will keep your car in the dry and secure, we all know that there are other preventative maintenance actions we can do to preserve its condition. A cover is included in the above rate as we believe it is essential. We can also offer battery conditioning, vehicle/tyre rolling, occasional engine start and warm-through, periodical driving and written reports – please talk to us about your needs and we will offer competitive quotes. We can also offer a dehumidified environment if you wish. We are currently offering a deal on storage with a cover combined with battery conditioning and a quarterly start up, warm through and report at only £150 per month. We have our own covered transportation at your disposal for pick-up, delivery and servicing requirements. It is charged at £2 per mile round-trip and we can deliver anywhere you wish us to.